Call 731-313-7482 to schedule your first appointment. Do you currently experience hearing loss and need hearing aids in Jackson, TN? Miracle-Ear® will assist you in picking out a product that works well. Miracle-Ear is America's most recognized brand of hearing aids with over 1300 locations across the nation. 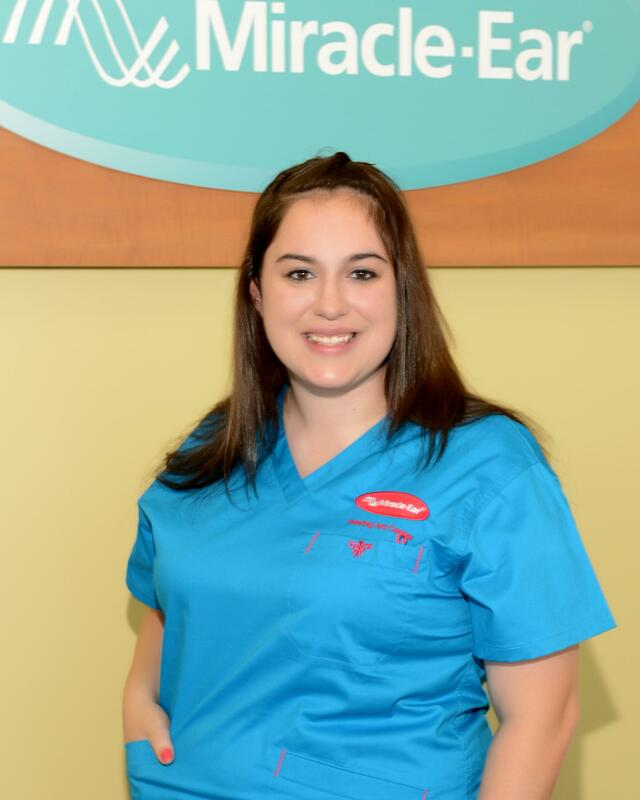 We employ experienced hearing care specialists, and each of our centers is independently owned and operated. We sell hearing solutions with the most current technology in the field, such as in our GENIUS™ Technology. The features in these hearing aids work in sync to create a crystal clear listening experience even as the acoustic environment changes. Wireless Windscreen eliminates wind noises that can interfere with the conduction of natural sounds. You can expect to experience sound processed in the same way that your brain processes it. Binaural Wireless 3.0 data transmission technology is incorporated in GENIUS™ Technology. This technology allows for each hearing aid to use information from the hearing aid on the opposite side. The virtual eight-microphone network causes a heightened sensitivity to the acoustic environment. Come to our hearing aid center or give us a call. We serve the Jackson, Coffeyville, and Dearing areas. We’ll help you find the right solution to your hearing troubles. Whether you want discreet hearing aids or hearing aids that reduce feedback, Miracle-Ear will have a good match for you. You can also try our hearing aids during a 30-day risk-free trial**. We hope you’ll choose to discover and experience the Miracle-Ear advantage. Miracle-Ear Hearing Care Specialists are licensed and trained professionals who focus solely on hearing and hearing loss. Every single human ear is different with it’s own individual hearing needs. This makes an appropriate hearing solution different for each person. Our Specialists have and continue to gain expertise daily, constantly gaining understanding of the differences in hearing needs. 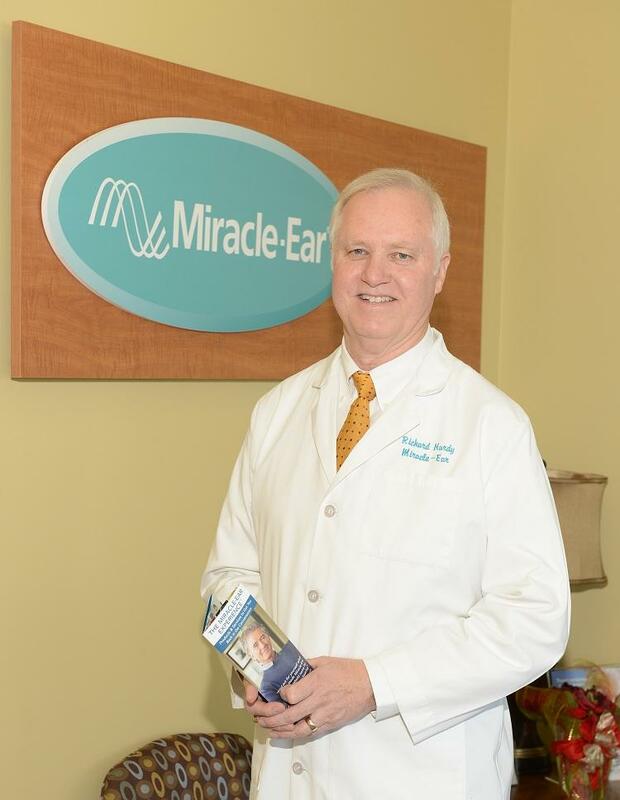 With over 40 years of combined hearing care experience, Miracle-Ear Hearing Care Specialists can address your hearing needs with expertise and care that is second to none. If you suspect that you’ve developed any degree of hearing loss no matter how mild, contact us for a complementary hearing evaluation. If we find that you have a condition or a need that is beyond our expertise, we will gladly refer you to a qualified Audiologists or Otolaryngologists (ENT or “ear-nose-throat” doctors) for further evaluation and treatment. Thank you for taking the time to learn about Miracle-Ear and meet our team. My name is Richard Hardy and I am President of Mid-South Hearing, LLC. 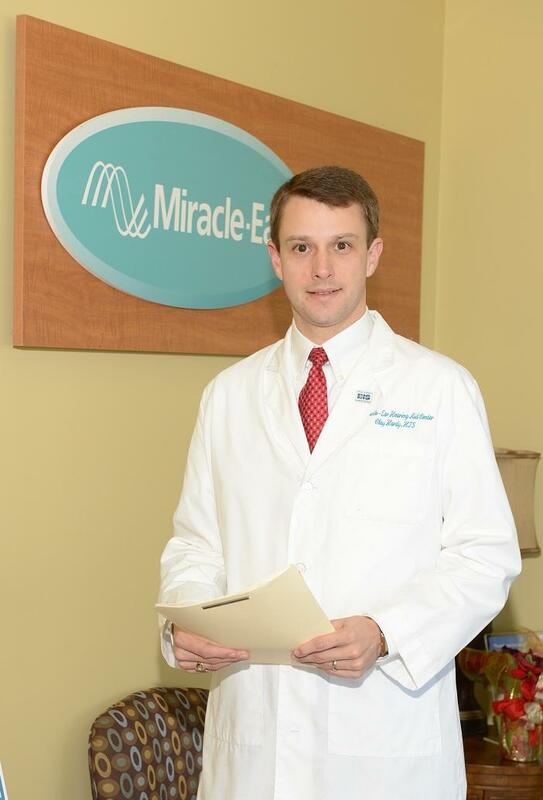 We operate 16 Miracle-Ear Hearing Centers across West Tennessee and North Mississippi. In 2017 Miracle-Ear will celebrate 30 years covering this area. 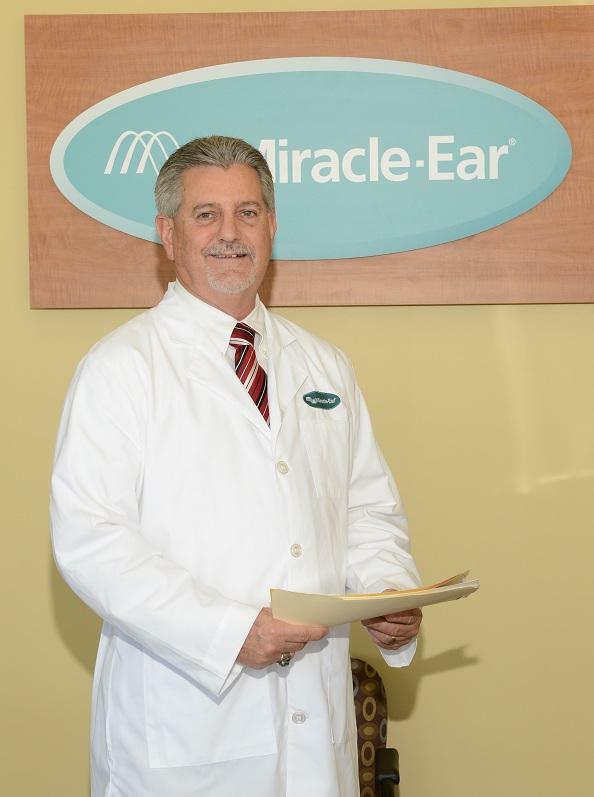 Nationally, Miracle-Ear was started over 65 years ago and now has over 1300 locations across North America. The secret to our longevity lies in great hearing solutions and even greater customer service. Our hearing aids offer world class technology and many best in class features. We were the first hearing aid manufacturer to offer wireless technology, a feature that is standard on modern hearing aids. As good as our products are, customer service drives our business. I began working for my father in his tire store when I was thirteen. It was impressed upon me at this early age to take care of your customer. It is with passion that we serve you. Your complete satisfaction is what we try diligently to achieve every day. Now, about our team. As you will see, we are active in churches, in the community, and in civic organizations. We serve in leadership positions in many of those organizations. Graduated from Mississippi State University with a B.S. in Engineering, graduate hours in the MBA program at the University of Memphis, Executive Leadership Training at the University of Tennessee, and Advanced Leadership training from the Center for Creative Leadership. Professional-Board Certified in Hearing Instrument Sciences, Licensed Hearing Instrument Specialist in Tennessee and Mississippi. Miracle-Ear Certified Hearing Care Specialist. Past President of Mississippi Hearing Aid Association, Past President of Department of Health Hearing Aid Advisory Board. Member of the International Hearing Society. Married to Retta Hardy who is retired but maintains her H.I.S. License. We have sons Clay and Drew, who are both Hearing Care Specialists in our organization. They are married and have given us six grandchildren that we adore. We have been member and president of numerous community and civic organizations and are teachers of an adult bible study class. I thrive on problem solving. I will not cease in my efforts to make my patient successful wearers. Read More About Richard Hardy B.S.-BC-HIS. I have 12 years experience as a hearing aid specialist. State board licensed in Tennessee and Mississippi. I have worked for Miracle-Ear 12 years. State Board licensed in Tennessee and Mississippi. Miracle Ear Certified Hearing Care Professional. Meeting people and helping them regain better quality of life through hearing improvement. Clay Hardy is a 2003 graduate of Mississippi College with a Bachelor Degree in Marketing. After several years in the financial services industry, he joined his family in the hearing care profession. Clay is Board Certified in Hearing Instrument Sciences and is licensed to fit hearing aids in Mississippi and Tennessee. Clay services the Miracle-Ear Hearing Aid Centers in Amory, Booneville, Corinth, Iuka, New Albany, Pontotoc and Tupelo, Mississippi. Clay Hardy and his family reside in New Albany, MS, where they are active members of the community. They are members of First Baptist Church where Clay serves as the Chairman of the Media Committee. He is also the Chairman of the Union County Republican Executive Committee, is the president of the Mississippi Hearing Aid Association, and is a member of the Mississippi Department of Health Hearing Aid Specialist Council of Advisers. His wife, Christy, is a teacher in New Albany Elementary School. Clay and Christy have three children. Their daughter, Laura Grace, is active in church and New Albany School Athletics. Layton and Will are active in church and city league sports. All are students in the New Albany Public Schools. Read More About Clay Hardy, B.S.-BC-HIS. I have been with Miracle Ear since July of 2012 and love what I do. I am proficient with customer service and meeting customers hearing needs. I love meeting new customers and learning their personal experiences. It's an overwhelming feeling when you get to share the moment when a person hears again. I strive to be dependable, courteous and give excellent customer service. I graduated with honors and at the top of my class from Crockett County High School in Alamo, TN. I played trumpet all throughout school and was a recipient of the John Philip Sousa Award. I am the youth director for Bells Assembly of God in Bells, TN and an active member of the church. My husband and I have two young boys, Alex and Jonah that are very active and keep us going.